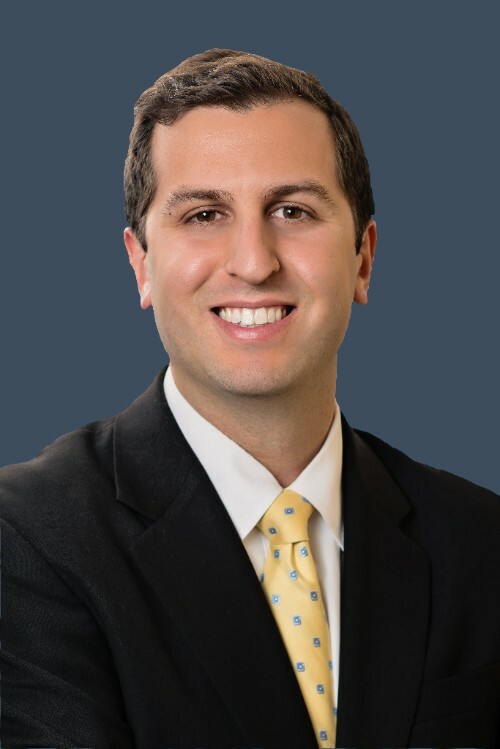 Ben Offit, CFP® has been named President-Elect of the Financial Planning Association of Maryland (FPA) by the Board of Governors. The Financial Planning Association is the largest membership organization for personal financial planning experts in the U.S. and includes professionals from all backgrounds and business models. FPA helps connect thousands of consumers to competent and ethical planners who uphold the FPA Standard of Care. Members of FPA are those who commit to the highest standard of professional competence, ethical conduct and clear, complete, disclosure to those they serve. They deliver advice using an objective, client-centered, ethical process. FPA membership consists of financial planners and all those who support the financial planning process. Ben Offit was welcomed back to the Hinman CEOs Entrepreneurship program at the University of Maryland on November 29th as a keynote speaker. Ben graduated with a major in Entrepreneurship from the University and discussed his own journey of launching his own business out of college and also gave some life and financial lessons to consider. Stocks continued their relentless march higher during November. Fresh record highs were set once again for the major U.S. stock indices, including the S&P 500, Dow Jones Industrial Average, NASDAQ, Russell 1000, Russell 2000, and Russell 3000. The S&P 500 has increased nearly 24% since the election, driven by solid earnings growth and some hope for income tax reductions. The S&P 500 has now gone over a year without even a correction of 3%, which is a new record. November’s equity rally was remarkably balanced, with growth and value stocks up similar amounts and large cap stocks just nosing out small cap stocks for the month. International stocks, both developed and emerging, trailed their large cap U.S. counterparts. The yield curve continued to flatten as yields increased for bonds maturing in less than 10 years and decreased for bonds maturing in 10 to 30 years. The yield on the 10-year Treasury decreased one basis point in November to 2.37%. The Bloomberg Barclays Aggregate Bond Index posted a modest decrease in value for the month. Treasuries, investment grade corporates, high yield, and municipals all posted losses. The economy continued to grow at a solid pace in October. The labor market had a nice recovery from last month’s weakness as 261,000 new jobs were added. This is the strongest job growth since July of 2016. Unemployment ticked down to 4.1%, the lowest since September of 2000. Both the ISM Manufacturing Index and ISM Non-Manufacturing Index continue to show economic growth. The estimate of third quarter real gross domestic product was nudged up to 3.3%. The housing market continued to expand. New permits were the second highest since June 2007 and new home sales were the highest since September 2007. As expected, the Federal Open Market Committee (FOMC) left rates unchanged at the conclusion of its two-day meeting on November 1st. The last FOMC meeting of the year is scheduled for December 12 to 13 and currently fed funds futures appear to be indicating a very high probability of a rate hike at that meeting. Jerome Powell was appointed as the next Chairman of the Federal Reserve. If confirmed, it is likely that Powell will continue with the modest pace of interest rate increases started by his predecessor, Janet Yellen. The looming potential for tax reform has brought even more focus on tax planning this December. And while it remains to be seen whether the legislation ultimately passes, and how the differences between the House and Senate versions are reconciled, some high-level tax planning opportunities remain present with your portfolio for 2017! All of the tax reform momentum is towards fewer deductions and lower rates, which makes it especially appealing to accelerate deductions into 2017 (given that they might not even be available in next year! ), and defer income into 2018 (at a potentially lower rate). Be cognizant of tax efficiency for your investments. Try leveraging “asset location”techniques by locating your equity investments into non-retirement accounts because they are more tax efficient than bonds which create ordinary dividends and income and putting those into tax-deferred retirement accounts like IRAs. This can increase after-tax wealth without changing the portfolio at all, just by locating the right assets in the right accounts. Take advantage of tax loss harvesting in your investments where available. Consider a Roth IRA conversion this year, as the House tax reform plan has proposed to end the ability of Roth recharacterizations. Please contact me if you have any further questions about any of these strategies! The opinions expressed in this commentary are those of the author and may not necessarily reflect those held by Kestra IS or Kestra AS. The material is for informational purposes only. It represents an assessment of the market environment at a specific point in time and is not intended to be a forecast of future events, or a guarantee of future results. It is not guaranteed by Kestra IS or Kestra AS for accuracy, does not purport to be complete and is not intended to be used as a primary basis for investment decisions. It should also not be construed as advice meeting the particular investment needs of any investor. Neither the information presented nor any opinion expressed constitutes a solicitation for the purchase or sale of any security. In the world today, fewer than 10 countries are in a recession, the lowest number ever.